Creating your own stencil with a Spellbinders Alphabet is so easy to do and can create an individual background for any of your projects. Once the stencil is made it can be used over and over again and just by altering the inks you blend with can give you a different look each time. Having an Alphabet in your crafting "Stash" is a useful addition as it allows you to personalise any of your projects. No Matter how complex or unusual the name, it is at your finger tips with an Alphabet. 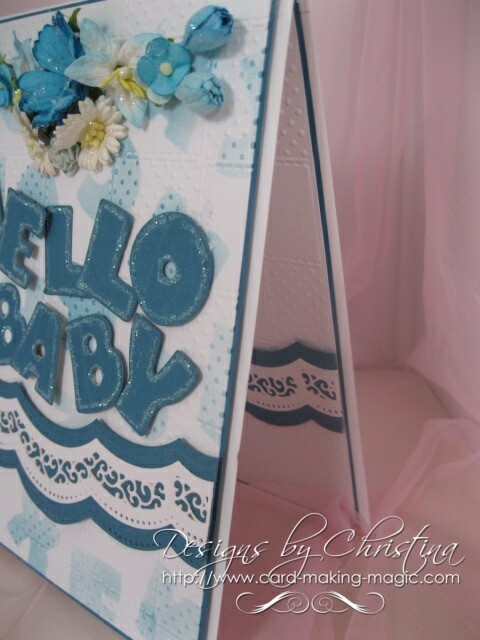 This pretty card has used the stencil and then also added in the words from the same letters in a darker shade, and the edges have been glittered to help them stand out from the rest of the card. So now it's time to make your self a nice cuppa and settle down to watch the short tutorial ... and then get busy making some of these designs for your self. 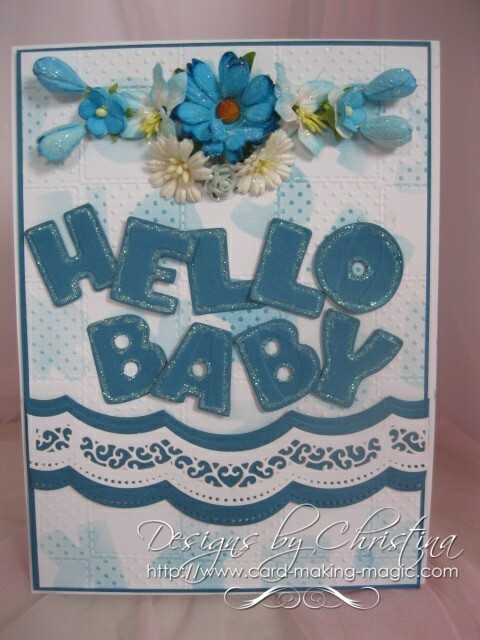 This baby card is created to the Hinged Card Style which is my favorite way to make a card and is very easy to do. 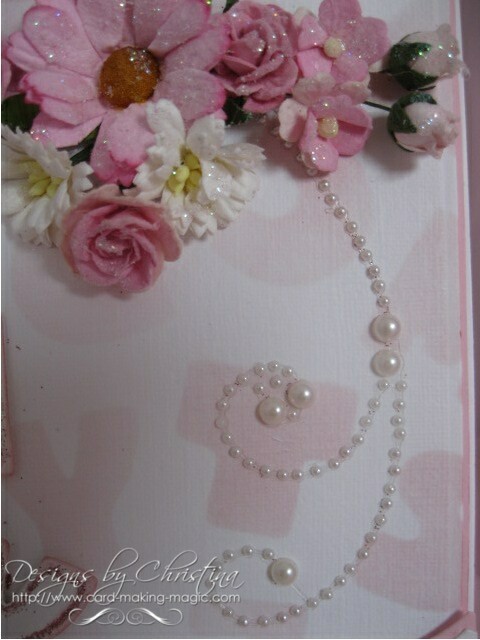 The inside of the card has been decorated to match the front and there are lots of layers to the design. They are a mixture of Chrysanthemums, Tulips, Iris, Sweetheart Blooms and Roses. And they too have been sparkled up with Glamour Dust. Change the colour and the name on the front and there you have a card that will please any one that is lucky enough to get a card from you. And if you sell your work don't forget to add your name and a contact number to the back of the card for any special commissions that you may get from the buyer.